A Stuart man was arrested last Friday on felony charges for drug possession. 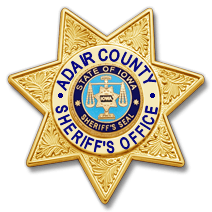 According to the Adair County Sheriff’s Office, 57-year-old Andrew Dean Nelson was charged with two counts of possession of a controlled substance-3rd or subsequent offense, both Class D felonies. According to the Sheriff’s report, Nelson was involved in an assault at a home in Stuart. Nelson had allegedly stolen a wallet earlier in the evening from the other man involved in the assault. After being cited and released by the Guthrie County Sheriff’s Office for the theft of the wallet, an Adair County Sheriff’s Deputy located a small bag of methamphetamine and a small bag of marijuana on Nelson. Nelson is currently being held at the Adair County Jail on a $5,000 cash or surety bond. His preliminary hearing is scheduled for Thursday, June 21st. Raccoon Valley Radio will bring you more information as it becomes official.